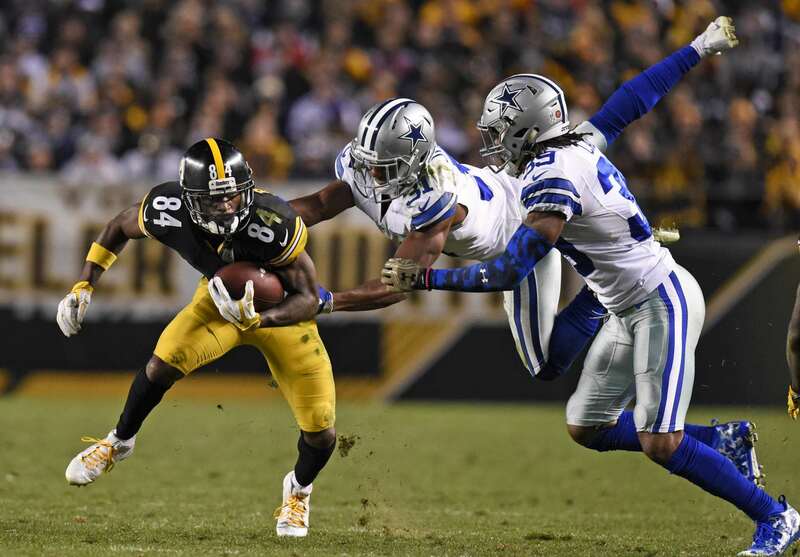 At first glance, the idea of the Dallas Cowboys trading for Pittsburgh's Antonio Brown sounds pretty far-fetched. But if you really start to look at, Dallas is in a better position to add the Steelers disgruntled star receiver than most teams. It makes you wonder if the Cowboys may not try to make a move for Brown this offseason. You might balk at this idea immediately when you remember that Dallas has to re-sign DE DeMarcus Lawrence and that WR Amari Cooper's cap hit is going to jump by about $13 million in 2019. And if the Cowboys are serious about getting an extension done with QB Dak Prescott, then that further complicates matters. But 2019 is a new reality for the Dallas Cowboys when it comes to the salary cap. You're not used to this team having financial flexibility, but their recent youth movement and refusal to give big contracts to aging stars has changed the fiscal landscape. Depending on where you look, the Cowboys are projected to have anywhere from $48 to $54 million in cap space next year. And that includes the salary jumps for Cooper, Byron Jones, and any other players currently under contract. But before we get into whether or not adding Antonio Brown works financially, let's consider if the Cowboys really need him. Dallas made a big move at WR last season, sending their 2019 first-round pick to the Raiders for Amari Cooper. With Dallas making the playoffs and Cooper playing in the Pro Bowl this Sunday, there's little you can say against the trade now. Cooper and second-year stud Michael Gallup will anchor the receiving corps next season. But now Dallas has to figure out what to do with Cole Beasley, who turns 30 this year and has recently been voicing his displeasure with how much he's used in the Cowboys offense. While Cole did finish the year with the third-most targets on the team, he was hardly utilized in the playoffs. Beasley was only thrown at five times out of 64 total passes in those two games; roughly 8% of the targets in the postseason. Cole wants and, frankly, deserves more. And his frustration does make you wonder if there would be enough targets to satisfy Antonio Brown if he came to Dallas. A big factor here is the change in offensive coordinator. Will the new OC, who every day appears closer to being Kellen Moore, open up the passing game? 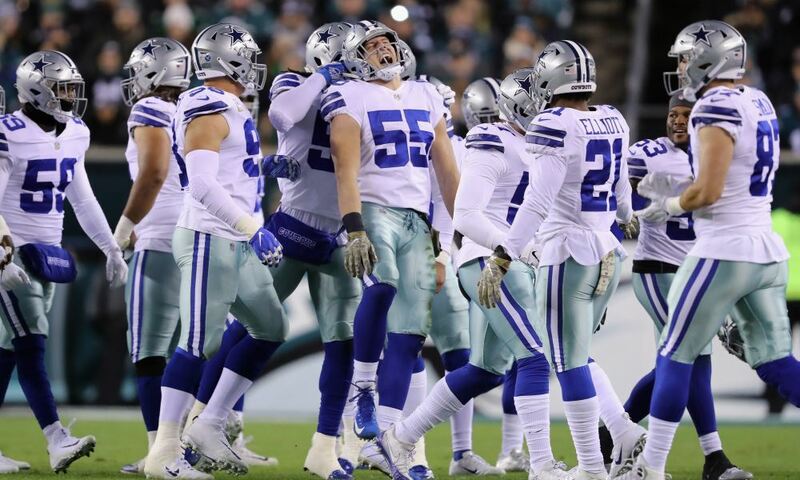 Dallas was 21st in pass attempts in 2018 with 527 throws. The top team was, coincidentally, the Pittsburgh Steelers. They threw 689 passes last year. Now, we're not saying that the Cowboys are going to suddenly turn into a pass-heavy offense. They still have Ezekiel Elliott and a lot invested in the run game, plus nobody expects Dak Prescott to suddenly turn into Drew Brees. But if Dallas were to add Brown, they could add a player who is not only better than Cole Beasley but would rival Amari Cooper as the team's top receiver. Even though he turns 31 this year, Antonio can still dominate a game with the best of the them. Michael Gallup isn't entitled to a starting role next year. Dallas could start Brown and Cooper and then bring in Gallup in 3WR sets, with the flexibility to move either Antonio or Amari into the slot. They could do a lot to keep defenses guessing with their top two receivers. Remember, Tavon Austin is also a free agent. If he and Beasley both leave Dallas, the next best options are Allen Hurns, Noah Brown, and.... *gulp*.... Terrance Williams. So yeah, the Cowboys could sure use Antonio Brown. If you liked what Amari Cooper's presence did to help open up the offense last year, imagine what having two guys of that caliber would do. But can Dallas afford to do it? First off, before we even get back into the salary cap, what about trading for Brown? What will the Steelers accept for him? Well, Dallas was able to get Cooper for a first-round pick. And Amari, who turns just 25 this summer, is about six years younger than Brown. However, Coooper was also struggling in Oakland. In fact, many felt that a first was far too generous given his recent play. Dallas took a big gamble that a change of scenery would do him good, and it paid off. Brown may be unhappy in Pittsburgh but it hasn't stopped him from being one of the game's best receivers. In just 15 games last year, Antonio had nearly 1,300 receiving yards and a whopping 15 touchdowns. He's still elite. But at 31, the chance that his skills will start to decline is a major issue. And given the breakdown between Brown and the Steelers hierarchy, Pittsburgh doesn't have much leverage. However, thanks to their solid finish to the season, Dallas' draft picks aren't as attractive as they were last October. Their original 2019 picks will now be toward the end of each round. Given that, Pittsburgh may not want even the Cowboys' second-round pick. They also probably wouldn't take the 2020 first-round pick; the Steelers will want some immediate return to help them get back to the playoffs next season. So no, Dallas and Pittsburgh may not make great trade partners there. And that might settle this issue before anything relevant to the Cowboys' salary cap. But let's just play with the possibility that the teams could work out a trade. How would Dallas fit Brown's contract into their salary cap? For this hypothetical, we'll ballpark the Cowboys' 2019 cap space at $50 million. If Dallas were to trade for Antonio Brown, they would only be responsible for the base salary and unpaid bonuses in his deal. For 2019, that would be a $12.6 million salary and a $2.5 million roster bonus for a total $15.1 million salary cap hit. Re-signing DeMarcus Lawrence will likely have a first-year cost of close to $20 million. That's also about what it would cost to give him the franchise tag again, so the Cowboys may be able to negotiate that down a bit through a long-term contract. But still, it's going to be a lot. So let's just knock our cap space down to $30 million after Tank gets paid. The Cowboys won't need a lot to pay their 2019 rookie pool given they don't have a first-round pick. It shouldn't take more than about $4 million. 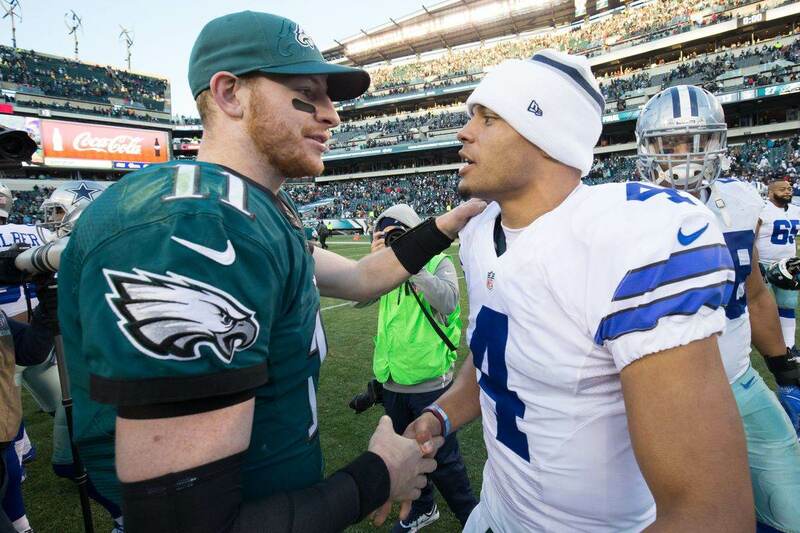 Now, let's talk Dak Prescott's extension. Dallas may be committed to him as their QB of the future, but it doesn't necessarily mean they have to give him a new deal now. They may want to see how Prescott responds to a new offense and performs in the final year of his rookie deal before making a franchise-altering decision. Even if Dallas does extend Prescott, they can take steps bring that first year cap hit down tremendously. An immediate restructure could put a lot of money back into the salary cap, which would make sense at this point in the contract. Still, we see how quickly that cap space dried up. Does that means Dallas would be too cash-strapped to make a play for Antonio Brown? The Cowboys could also make space for Brown with some cap-saving moves elsewhere on the roster. The easiest one would be releasing Sean Lee, which clears $7 million in cap space in 2019. 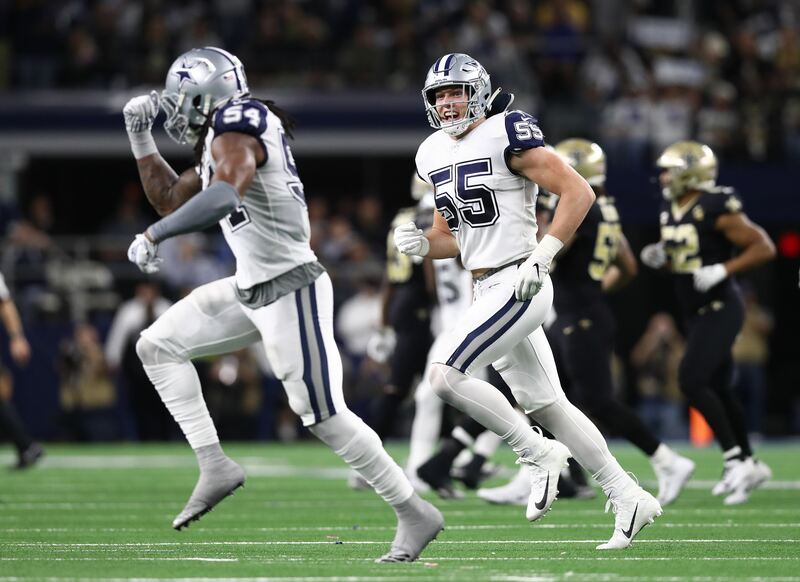 With Jaylon Smith and Leighton Vander Esch now the key players at linebacker, this one doesn't hurt that much. Another $5.9 million could come from releasing veteran Tyrone Crawford. He's a valuable member of the defensive line, but Dallas has a lot of interesting young players at both DE and tackle. The money could be more valuable than the player at this point. What about getting some money back at receiver, since that's what you'd be adding? Allen Hurns could be released for $5 million off the cap, and Terrance Williams for another $2.25 million. Those four moves just put another $20 million into the 2019 salary cap. That would pay for Antonio Brown and give you space to do other work on the roster, or perhaps even give you the option to keep Crawford. Of course, all of this is speculation and a loose look at the financial ramifications. And as we said, Pittsburgh may have not interest in the draft picks that Dallas can offer. But not every team has the cap space to take on Antonio Brown, or the willingness to take a risk on a player whose had trouble making friends at his last job. The Cowboys have both, and adding a guy like Brown could be what they need to push the offense and the team to Super Bowl contention. I'm not saying it's happening or even all that probable.